A fun, reliable, and efficient small car is a great upgrade for a variety of needs, and we want to help you get the most for your money at Carter Volkswagen in Ballard. Here, you'll find a wide range of new and exciting VW Jetta models in our vast inventory of all the latest Volkswagen has to offer. Instead of simply telling you that the German-engineered VW Jetta is the best small car available, we go the extra step by proving it with the facts. We understand that Honda also enjoys a great reputation, but how does the new 2018 Volkswagen Jetta compare to the 2018 Honda Civic? Find a preview in the following VW comparison information, and discover more of what to expect in our Volkswagen model detail pages. When you're ready to discover the precision of German engineering firsthand, come see us for a test drive at 5202 Leary Avenue Northwest, Seattle, WA 98107. If you'd like, it's quick and easy to schedule an appointment online at Carter Volkswagen in Ballard where we proudly serve the greater Seattle area including Bellevue, WA. The difference in exterior design between the new 2018 Volkswagen Jetta and the 2018 Honda Civic is the difference between sleek German sophistication and a bold aggressiveness of the latest Japanese design. Of course, the appearance isn't as important as what each of these small cars offers for the money. The new 2018 Volkswagen Jetta enters the market with a slightly more-affordable price tag, yet it comes standard with generous features like heated exterior mirrors and alloy wheels on the outside along with a split folding rear seat and adjustable rear seat headrests inside. You'll have to pay more for all of these in the more expensive Honda Civic. Additionally, standard features in the new Volkswagen Jetta like passenger seat height adjustment, CD player, and auxiliary audio input aren't available at all in a new Honda Civic. Clearly, the new 2018 Volkswagen Jetta is designed to provide superior value for your money over the Honda Civic. When you step behind the wheel for a test drive, it immediately becomes clear that the new 2018 VW Jetta is engineered to provide a higher level of performance than the Honda Civic. While these small cars enter the market with similar horsepower, the turbocharged engine in the 2018 Volkswagen Jetta provides substantially more torque. What this means for your drive is far better throttle response, especially when passing slower traffic up a hill, merging with freeway traffic, or accelerating off the line. Even with this power advantage, you'll get up to 40 MPG in the Jetta, which is the same as the less-powerful Honda Civic. Of course, experiencing the superior handling and comfort of the German-engineered Volkswagen Jetta means taking it for a test drive, so contact us today at Carter Volkswagen in Ballard to schedule an appointment. Safety is an important part of which new small car you take home, and we're pleased to find that the new 2018 Volkswagen Jetta and the 2018 Honda Civic are recognized as safe vehicles. However, there are some important differences to be aware of. For instance, every new VW Jetta comes equipped with an Intelligent Crash Response System that helps prevent the vehicle from rolling into further danger after a collision while also reducing the fire risk by shutting off the fuel pump. 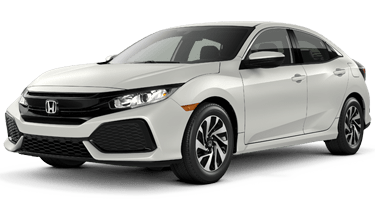 You won't find this dedication to your safety in the Honda Civic, and that's just the beginning. When it comes to getting in and out of those tight parallel parking spots, you'll appreciate the available Park Pilot technology in the new VW Jetta. In a new Honda Civic, parallel parking requires a bit more guesswork.